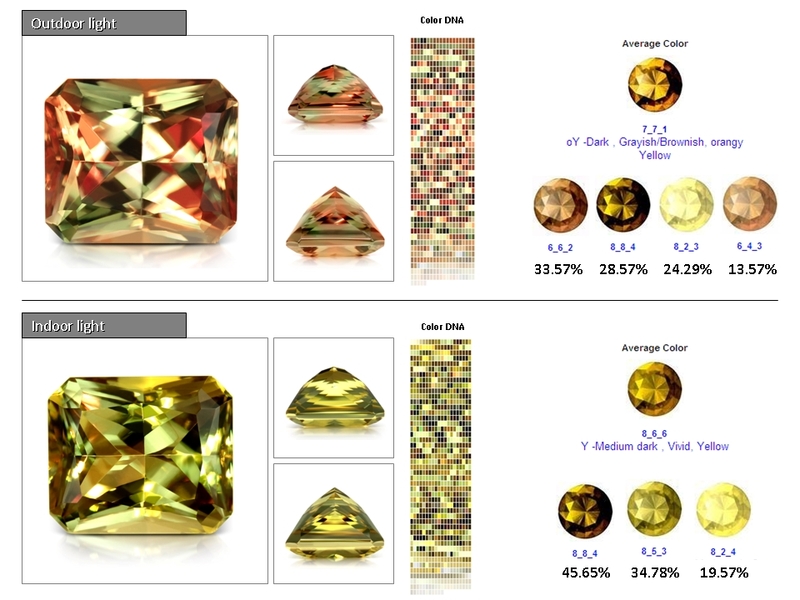 Zultanite is a gemstone that derives its color from manganese. It’s unique because its color changes with the light source. 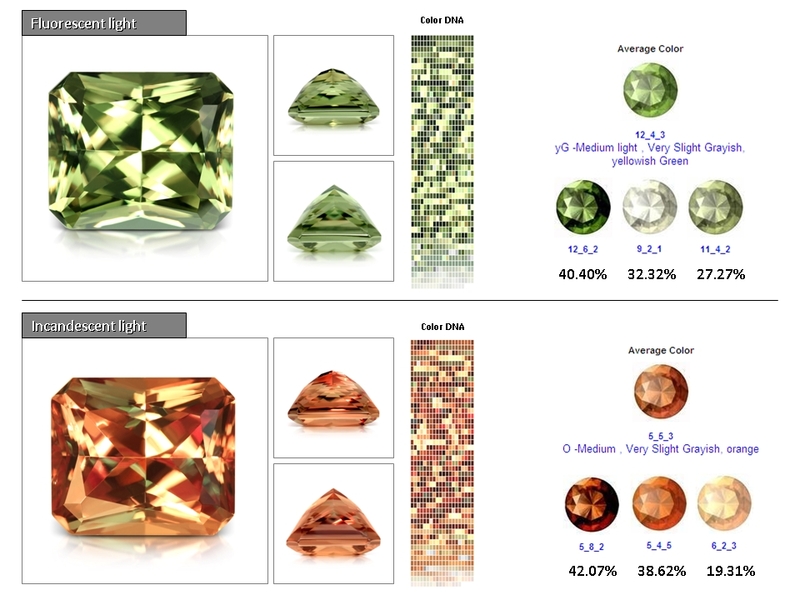 Incandescent, fluorescent, indoor and outdoor light each cause color variation in the gem. This color can range from kiwi-green to canary yellow to raspberry red. One stone, so many colors!